Born: Haderslev, 9 January 1957. World Longtrack: Finalist 1983, 1984, 1985, 1987, 1989, 1990, Semi-final 1980, 1982, 1988, 1991, Qualifying Round 1981, 1986; Best Other Results: Semi-final Third 1987, Qualifying Round Second 1984, 1985, 1987, Third 1982, 1983. Denmark Longtrack Championship: First 1980, 1984, Second 1983, 1985, 1986, 1987, 1988, Third 1981. 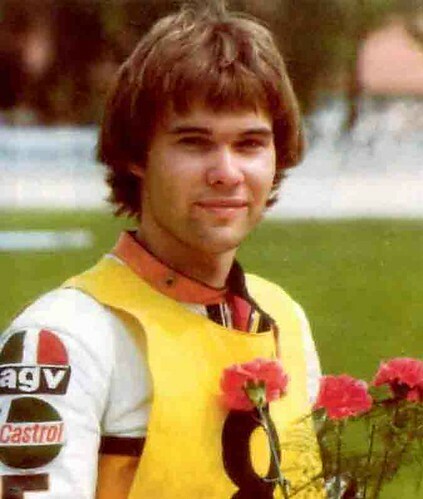 German Longtrack Golden Helmet Winner: 1986. Birmingham (1977-81), Leicester (1981-83), Reading (1983), Cradley (1984-85).